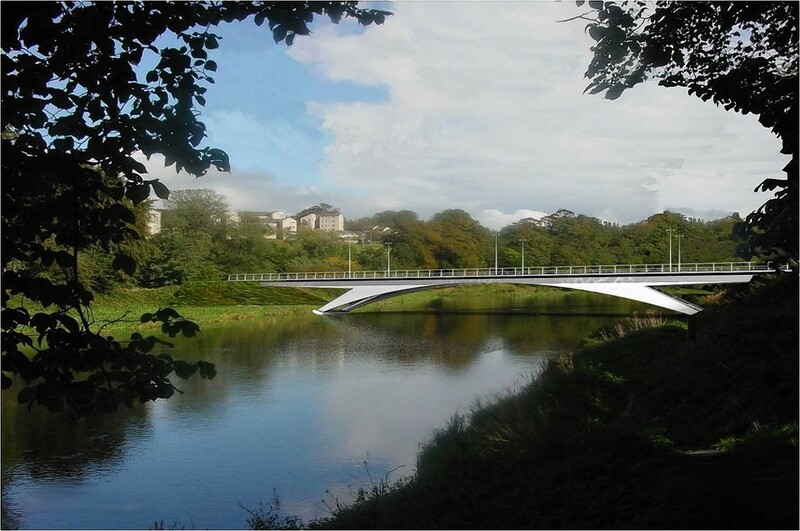 Construction work began yesterday on a major crossing over the River Don in Aberdeen. The Third Don Crossing marks the biggest infrastructure project in the north east for 30 years. Leading figures involved joined together and set down a symbolic first set of cement for the £18million bridge. Aberdeen City Council’s finance convener Willie Young joined Conservative councillor for Hazelhead, Ashley and Queen’s Cross Ross Thomson alongside builders from Balfour Beatty who hope to complete the long awaited project by December 2015. The project will see a single carriageway built between the Parkway and Whitestripes Road and the junction between Tillydrone Avenue and St Machar Drive. Its aim is to ease congestion, easing pressure on traffic heading to and from the city centre. Balfour Beatty’s North Scotland managing director George Hood said: “We have a strong track record in successfully completing vital regional road schemes across the country. Mr Young said: “When they were in power in Aberdeen the SNP and Liberals talked about building but never did. We are now building the bridge. We hope it will be finished by December 2015. Mr Thomson said: “It was a motion of mine which brought this about so to be here I am delighted. It has been kept in the long grass for too long. Throughout the duration of construction, city council and Balfour Beatty representatives will be based at 119 Grandholm Drive, Aberdeen. During office hours they will be available to discuss aspects of building work affecting residents. They can be contacted on 01224 257807. There will also be consulting sessions held in Tillydrone library on Mondays between 10-11am, Tuesdays 1-2pm, Wednesdays 5-6:30pm and Thursdays 10-11am.